A7 Environment Concrete envelopes with its unique raw, roughened finish are not only stylish & practical but respectful of our environment. Each sheet has a minimum of 30% post consumer fiber. 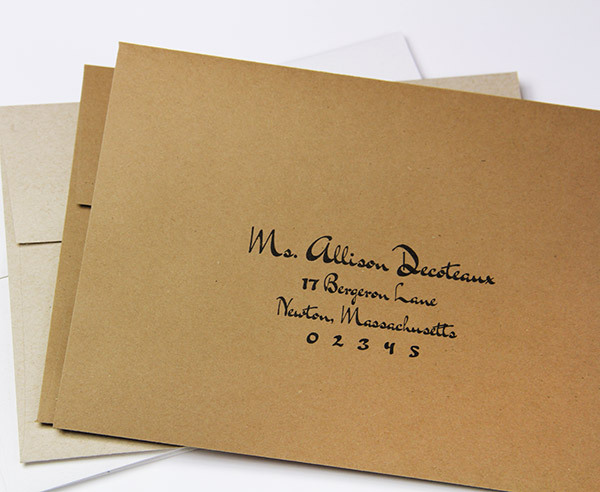 Our A1 square flap Concrete envelopes measure 5 1/4 x 7 1/4 inches making them the perfect choice for elegant invitations and correspondence cards. We recommend testing if printing at home with an inkjet or laser printer. 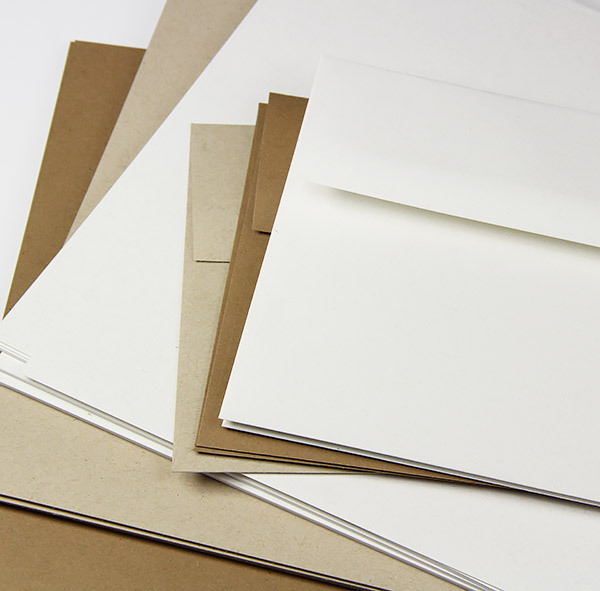 Made with 30% recycled content and offered in several shades and sizes, Neenah Environment kraft envelopes are a great choice for eco-chic stationery. Choose from six shades, all with visible flecks and fibers (inclusions) throughout the surface for a rustic look. 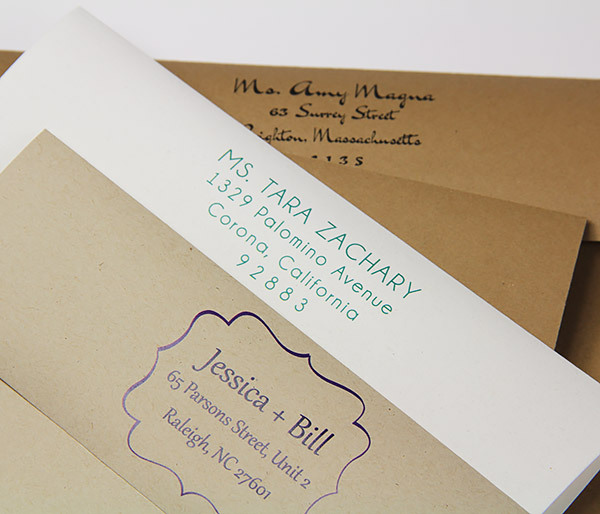 Envelopes are a nice, substantial thickness for stand-out, impressive stationery. 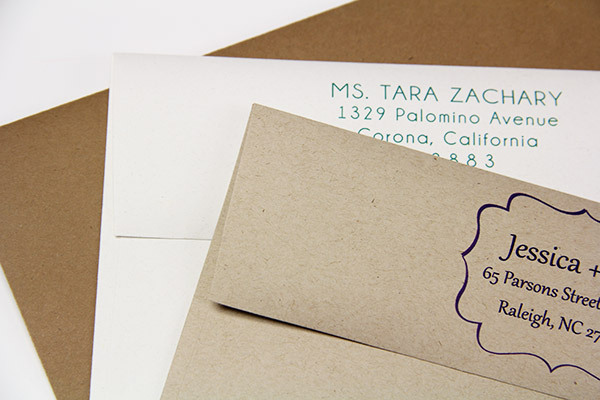 Neenah Environment kraft envelopes are offered blank or printed. 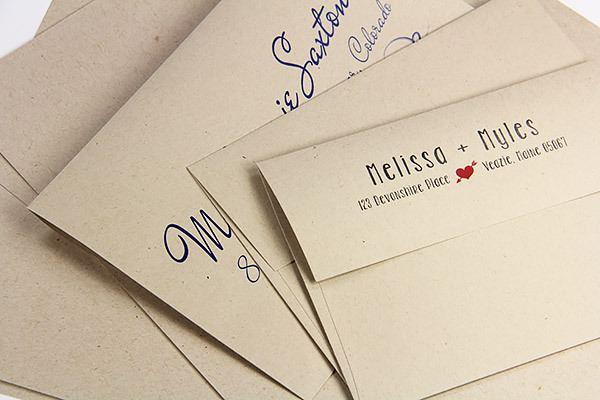 If ordering blank, print at home with your laser or ink jet. 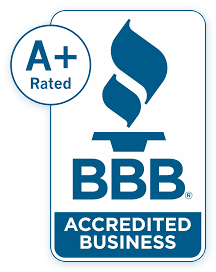 To save time, order printed with your return address and/or guest addresses. Choose from a variety of ink colors (even white) and fonts, or upload your own custom fonts and graphics. To complete your ensemble, matching Neenah Environment blank cards and Environment paper is available.